Yet again indulging in their passion of mingling reality and fiction. 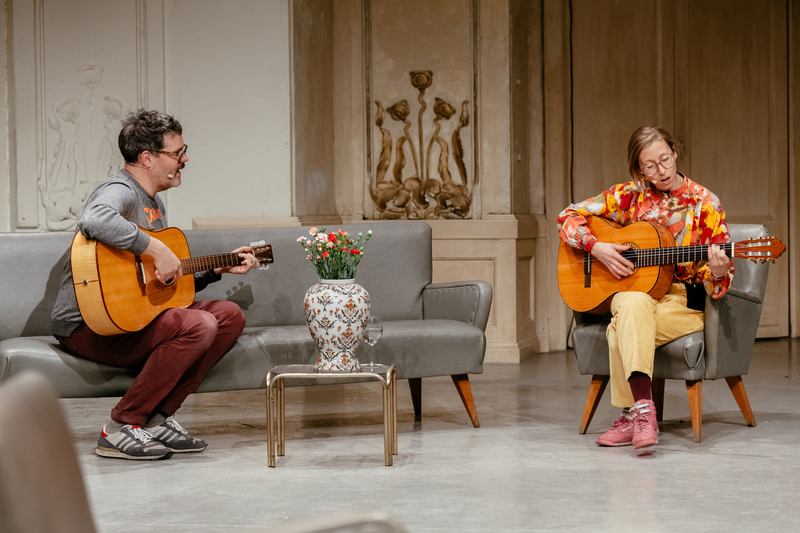 In their new performance, notfoundyet address two topics that we have all encountered in one way or another over the course of our lives: parties and social behaviour and the associated entanglement of public and private spheres. Their starting point for House Party is the eponymous whimsical TV show from the 1980s, in which a group of women invite guests into their flat. Each episode is dedicated to a different topic, partly informed by who the guests are and which objects and subjects they contribute. In two successive episodes, notfoundyet create their own house party together with guest performer Deborah Hazler. co-production by notfoundyet ++brut (episodes 1 & 2)++ WUK performing arts (episodes 3 & 4) ++ Szene Salzburg 2018. With the kind support of the City of Vienna’s Department of Cultural Affairs.